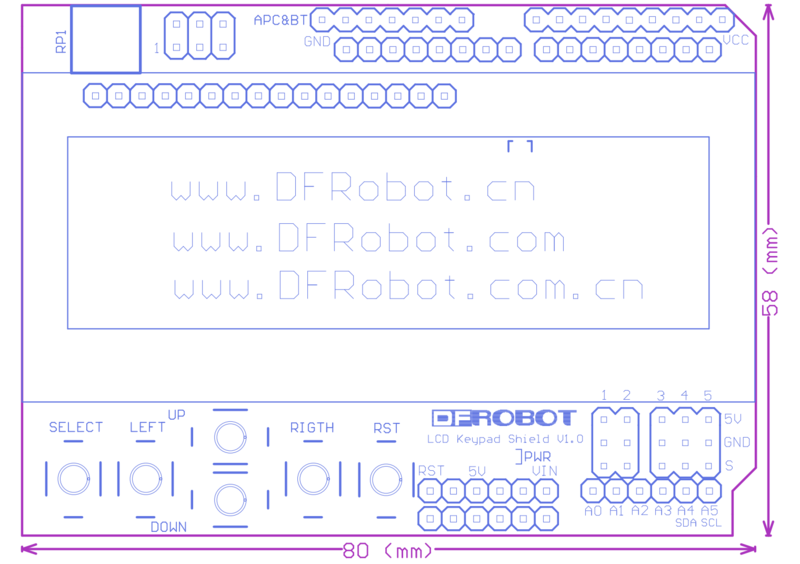 Note: Version 1.1 main updates are the button values, which have being updated on the example code. For older version check the comments and edit, or use the Enhanced V1.0 library. 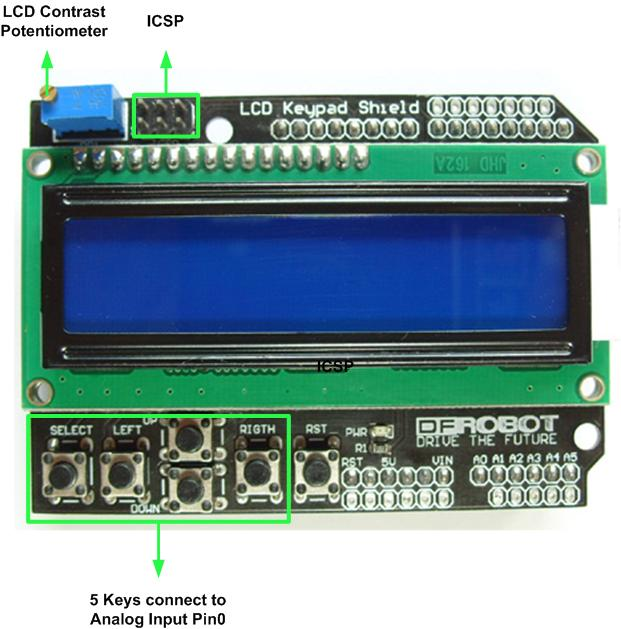 Get Arduino LCD & KeyPad Shield from DFRobot Store or DFRobot Distributor.